As I mentioned in an earlier blog post, I’m guest editing an issue of the science fiction fanzine Journey Planet called The Write Stuff. We’re looking for all kinds of articles about the writing life–the good, the bad, advice, anecdotes, etc. We’re not looking for how-to-write articles or articles that wax about the joys of writing. What we’re looking for is real nuts-and-bolts type stuff, honest straight talk about the business side of things, and the ugly truths. You’ll be writing for an audience of aspiring writers and fans of speculative fiction who have an interest in looking under the hood of things. If you’d like to write something for us, drop me a line (lyndarucker at gmail dot com). If you think you’d like to write something for us but you don’t have any ideas, also drop me a line, and we will work with you to think of something! Deadline is mid-February-ish. 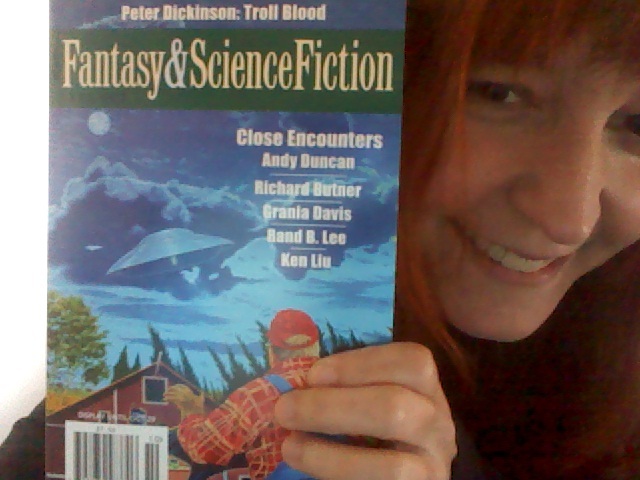 Look what the postman brought! 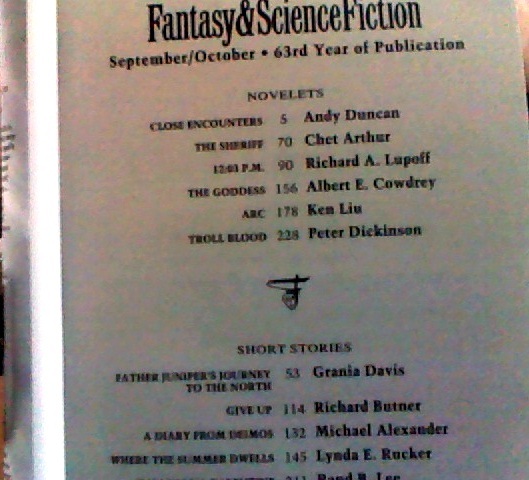 That’d be a contributor’s copy of F&SF containing my story “Where the Summer Dwells.” The magazine should be out in a couple of weeks. Be sure to check it out!